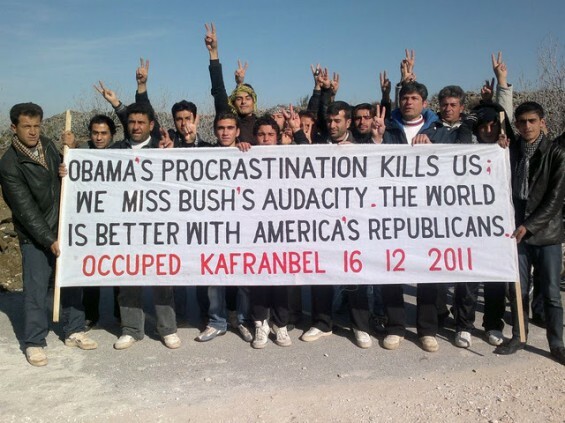 The Freedom Protesters in Syria are calling out for George W. Bush. God bless the brave Syrians in their quest for freedom. It is another travesty that this administration has ignored their pleas.